Since 2007 the federal government has mandated that all air conditioners and heat pumps have a seasonal energy efficiency rating (SEER) of at least 13. 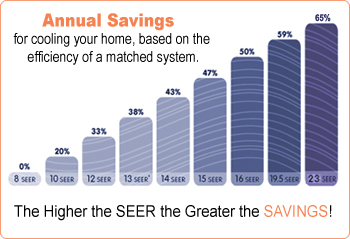 As you consider the purchase of your next unit, is a SEER 13 enough or should you take it a couple steps further and purchase a SEER 15 model? There are many factors to consider in this decision including initial price difference, the energy cost savings over the life of the unit, and the potential for receiving the government’s residential HVAC tax credit. Let’s take a closer look at the details so you’ll be able to make an informed decision on this important purchase. 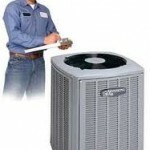 Your out of pocket expense to install the system is the first factor in the equation. To increase your SEER by 2 points will produce a cost increase of 15% to 30% depending on the model and equipment you choose. For example, a 13 SEER heat pump from a leading manufacturer might cost about $3600 which would put the 15 SEER unit in the same line at between $4140 and $4680, not counting installation costs. Doing the math, you’ve got $540 to $1080 to make up in energy costs savings over the life of the unit to break even. Of course, for many the simple fact that the 15 SEER is more “green” than the 13 SEER is enough to persuade them. But simply in terms of cost this is what you have. So what kind of energy savings does the upgrade produce? The answer to that will significantly help to determine whether choosing a 15 SEER product makes more sense than going with the 13 SEER heat pump. In terms of cooling, the more energy efficient model will save 10% on energy costs. In the warmth of Arizona, that would translate, based on today’s energy prices into a $600 savings over 10 years, roughly the life expectancy of many heat pumps. In a cooler climate like Illinois the energy cost savings would be more in the neighborhood of $300 over the 10-year period. If energy costs continue to rise the actual savings will be proportionately higher and will make a heat pump with greater energy efficiency more attractive. Another factor that will sway many homeowners to opt for the 15 SEER heat pump is the current availability of the federal HVAC tax credit. 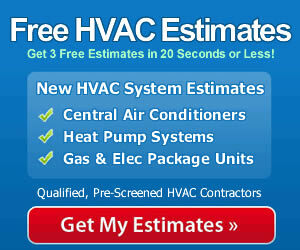 When you install a qualifying model you will receive a dollar for dollar credit equal to 30% of your costs up to $1,500. A heat pump with a 13 SEER rating will not qualify. The 15 SEER model will meet the criteria as long as it also has an EER of at least 12.5 and an 8.5 HSPF or greater, and most do. In our example we did not factor in the cost of installation which would easily add $1000 to $2500 to the total price, depending on the complexity of the job and the need for additional materials. Therefore, choosing the 15 SEER heat pump would make the project eligible for the entire $1500 credit, easily covering the greater cost of the more energy efficient unit. The energy cost savings every year thereafter would simply be a bonus that could be tucked away to cover the cost of your next unit in years to come. As you shop for your next heat pump it is important to size it correctly for your home and to make sure that your duct work is in good condition and free of leaks. Those factors will also play a role in your energy costs. With the government covering the cost of upgrading to more energy efficient units it only makes sense to choose a 15 SEER heat pump over a less efficient model. Has this tax credit been reduced or eliminated for 2013? I’m currently building a home in SC. My home is going to be about 2400 feet and I’m receiveing a TRANE Ac/Heating unit (13 SEER, 4 Ton and 85% AFUE). The builder ask me if I will be willing to go to a LUXAIRE 14.5 SEER, 4 Ton with a 95% AFUE. At the same price. Should I take him up on his offer or should I take the TRANE and upgrade it to a 15 SEER?